When your child have not-so-good handwriting for her age and has no interest in writing, colouring, drawing or tracing things to help the handwriting to improve you have to celebrate small wins. 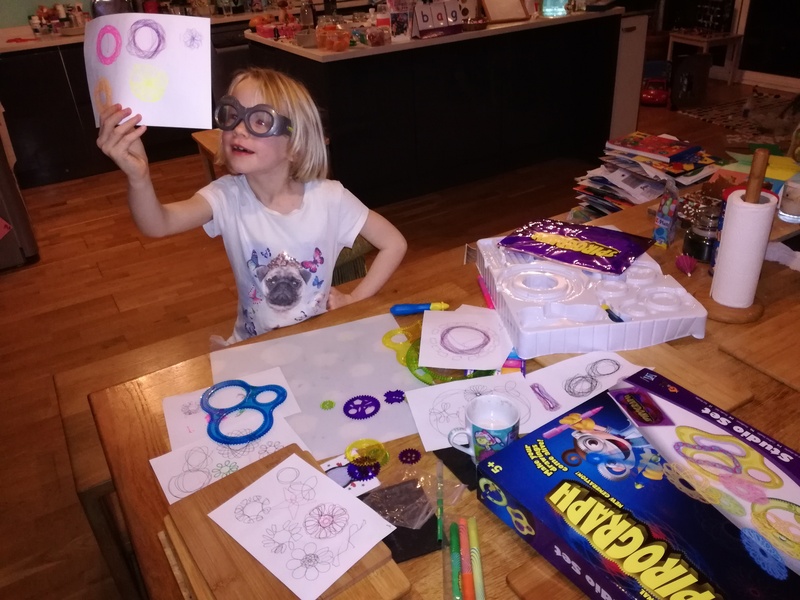 She had spent about 30 min today playing with Spirograph. And didn’t even whine once when it was not working out the way she expected. 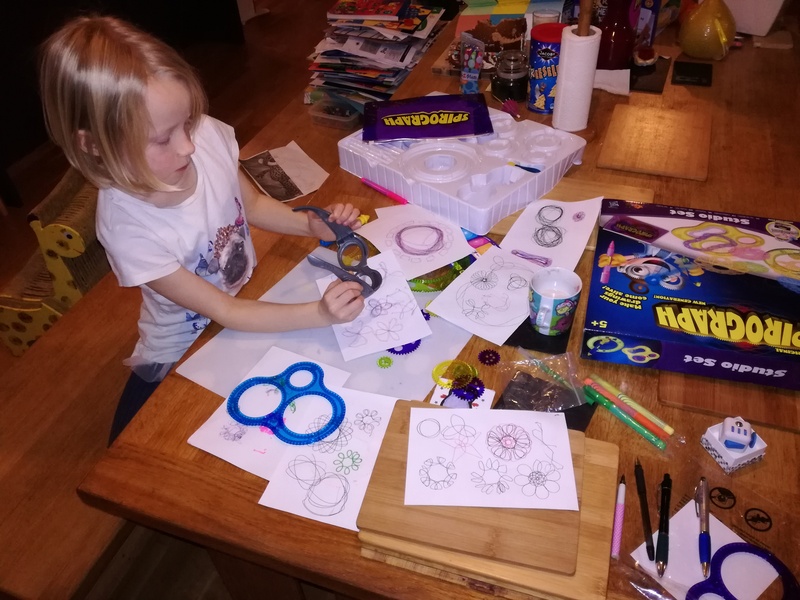 We tried Spirograph before, but she’d give up immediately. 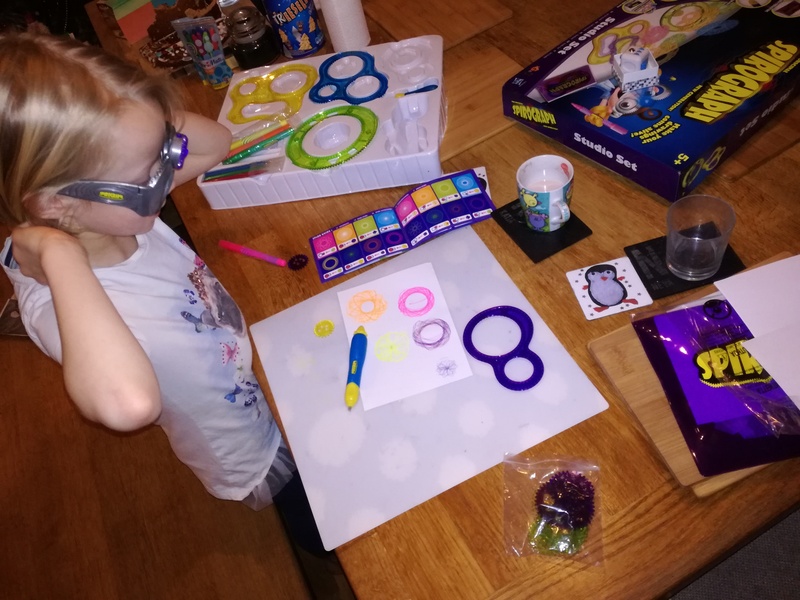 This new set I bought has got bigger holes, multitude of shapes, a booklet of shapes to draw, double pen, luminous markers and glasses that make drawings appear 3D. 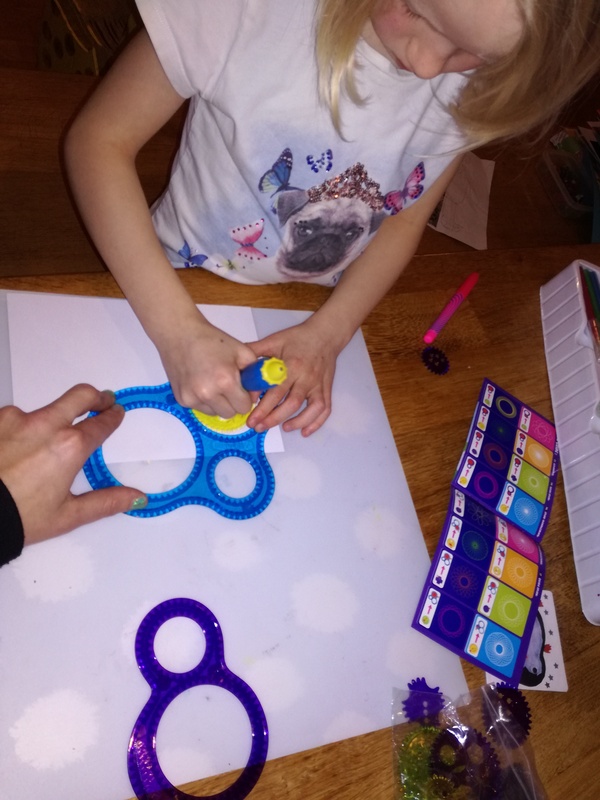 The slight problems – even though the shapes have soft feet, they still move and the wheels keep getting off the tracks and under the shapes, so as you can see I had to help her hold them down. I am sure we’ll find the solution to that.